Microsoft SkyDrive program manager Dan Somrack has informed blog readers that SkyDrive will be making an appearance on Xbox 360 consoles. Microsoft is slated to begin pushing the app to consumers after 10:00 AM PST on Tuesday, so by the time you read this, your Xbox 360 may already have access to SkyDrive. 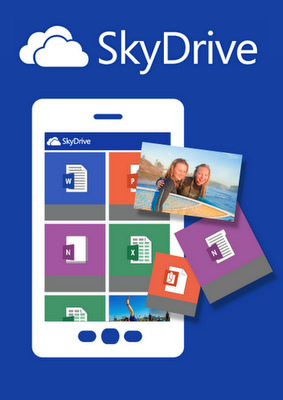 SkyDrive is Microsoft's answer to cloud storage services like DropBox and Google Drive. It provides a centralized way to store and access files across many different computers and devices. Although native support remains absent from Linux, the service is currently available for most other platforms: Mac OS X, Windows (Vista and higher), Windows Phone, Android and iOS. Somrack said the marriage of SkyDrive and Xbox 360 opens up numerous possibilities, but his team focused on user feedback to determine the most valuable features. One such feature allows photos -- when snapped with a Windows Phone -- to show up on an Xbox-equipped TV almost instantaneously. Another desirable feature to make the cut is the ability to create photo slideshows and have them play back on a television. While Microsoft is no doubt pleased to offer SkyDrive on the Xbox 360, not everything is fuzzy puppies and colorful rainbows for the cloud storage service. According to The Next Web, Apple and Microsoft are currently locked in a dispute over the 30 percent rule. Purportedly, Microsoft refuses to let Apple skim 30 percent of its in-app SkyDrive subscription revenue. As a result, Apple will not publish the latest SkyDrive app update which offers users a way to upgrade their SkyDrive's storage space at a premium. The 30 percent rule is simple: Apple gets a 30 percent cut of any sales made through its app store. The same also applies to any purchases made within the app itself. While not everyone agrees on how fair that revenue split is, it's essentially the same percentage and practice adopted by Android Market, BlackBerry World and even Microsoft's own Windows Store.